Flexibility is a key word thrown around in most fitness and rehabilitation facilities. There is this desire to become more flexible and many of us need it from inactivity and lacking full range of motion movements. To prevent me from going off on a tangent, this article will focus solely on muscle flexibility, aka the length of a specific muscle, and not mobility which encompasses so many other factors (Click here to read my article on Flexibility vs. Mobility). 1.Stiffness vs. Tightness: I have written about this before… There is a difference between stiffness in a muscle and actual tightness of a muscle. They both can FEEL the same way, but are often two completely different issues. Stiffness can be described as an increase in sympathetic tone or lack of suppleness within the tissue. It actually describes the quality/density of the tissue and not it’s length. For stiff muscles which have adequate range of motion, I recommend foam rolling or soft-tissue work, and not stretching. We don’t need to increase length of a muscle that is already at an optimal length, but reduce the tone within that muscle. 2.Fascial Tightness: Another way to view flexibility is in terms of the fascial system. Just because your hamstrings feel tight might, may not mean it’s actually the hamstring that’s the culprit. If you are someone who typically has “tight” hamstrings, reach down and try touching your toes to get a baseline. Now, spend a few minutes rolling a lacrosse ball on the bottom of each foot. To check the effectiveness, re-test the first test by completing the toe touch once again. Was there any difference? In the majority of you who tried this I bet you found that range of motion improved during the toe touch after the rolling on the foot. The question is why did this happen if you didn’t do a single thing to the hamstrings, which felt tight in the first place? Fascially speaking, in the superficial back line we are connected from the bottom of the foot all the way up the backside of the body to the head. Tightness and/or weakness in one part of the line may be due to issues at another part of that fascial line. Just because your hamstrings feel tight doesn’t necessarily mean they are the problem and we can often make improvements from addressing other issues within the fascial line. 3.Lack of Relative Motion: In many of my Active Release Techniques related posts, I have talked about relative motion. There are tons of muscles, tendons, ligaments, nerves, bones, and other junk in the human body. These things need to move and glide freely for optimal function. But, what happens when we get increased friction and lack of relative motion between adjacent structures. It often displays as pain or tightness during movement. A few weeks ago, I had a young woman who said she felt this pulling and tight sensation at her Quadriceps, almost directly in the center. The issue was not that the muscles were tight, but the rectus femoris wasn’t gliding over the vastus intermedius properly and it resulted in adhesion between the two. Now, every time she went into a Quad stretch, she felt tightness and restriction. Instead of aimlessly stretching the Quad, we released this adhesion and it quickly resulted in resolution of her symptoms and full function. 4.You Stretch, But Do You Involve the Brain? : We can work on improving flexibility all day long. But, if you do so and go on your way, like sit in the car and never truly involve the brain, your results are quickly lost. The brain and nervous system are the final decision makers on whether what we are doing becomes permanent or not. 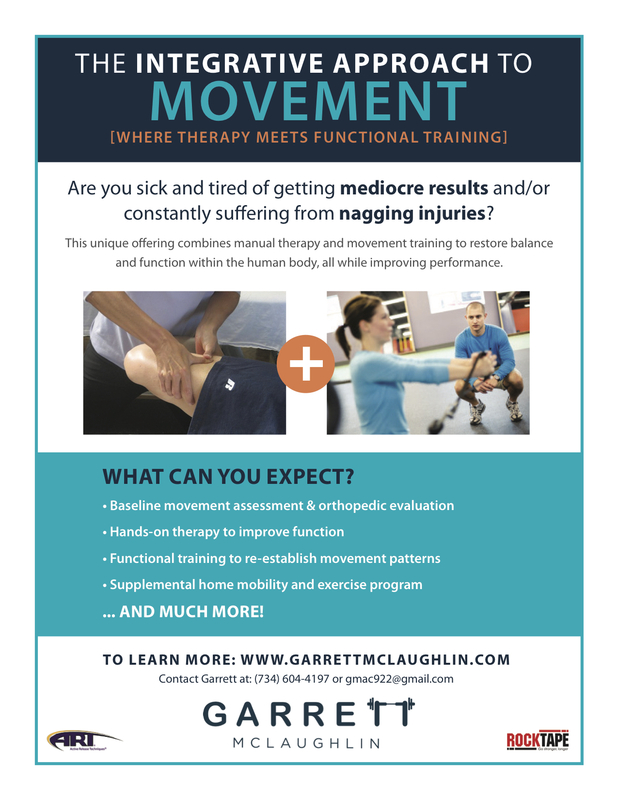 Once we improve flexibility through foam rolling, static stretching, or any other means, we must then incorporate some type of movement-based intervention. This is one of the main reasons I address flexibility issues before the exercise session, as opposed to at the end. The exercises are now done with the improved muscle length, so we are able to get the nervous system to recognize and adapt to these changes more readily. A solid process to remember is: foam roll, static stretch, and in-grain the changes with movement.